Vadra's lawyer KTS Tulsi ensured in Court that Vadra will join the probe. 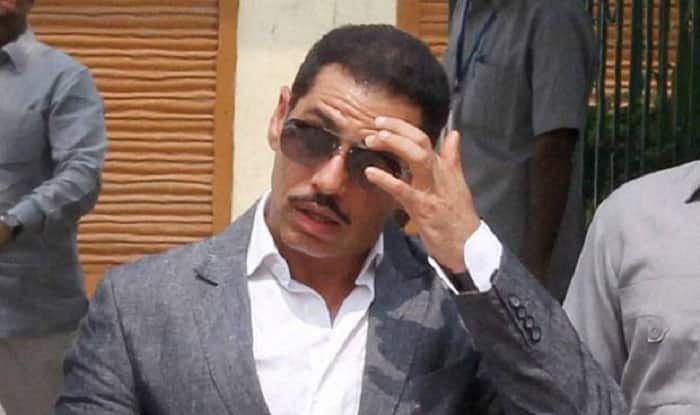 New Delhi: Delhi’s Patiala House Court on Saturday granted interim protection from arrest to Robert Vadra, son-in-law of UPA Chairperson Sonia Gandhi and brother-in-law of Congress President Rahul Gandhi till February 16 in a money laundering case. The case relates to allegations of money laundering in the purchase of a London-based property — located at 12, Bryanston Square — worth 1.9 million pounds, which is allegedly owned by Vadra. The court asked Vadra to join the ED investigation on February 6 at 4 PM. Vadra’s lawyer KTS Tulsi ensured in Court that Vadra will join the probe. Notably, the ED lodged a money laundering case against Vadra’s close aide Manoj Arora after his role surfaced during the probe of another case by the Income Tax Department under the new Black Money Act and tax law against absconding arms dealer Sanjay Bhandari. It said the London-based property was bought by Bhandari and sold in 2010 for the same amount despite incurring additional expenses on its renovation. On December 7, as part of its investigation, the ED conducted searches at a number of premises in Delhi-NCR and Bengaluru.